We are engaged in manufacturing and supplying a comprehensive range of Curing Machines. 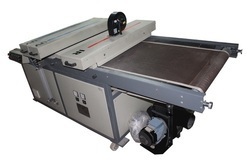 Our range of machines is stringently checked on the various parameters and ideal for wide applications. Our organization provides a qualitative range of Curing Machine to our clients as per their specification. These machines are available under model no: PH 2001 that consists of a non stick teflon conveyor belt with all types of inks and discharge. 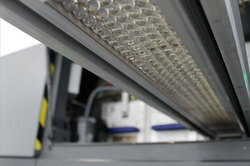 It is also provided with a digital temperature controller with an automatic temperature cut off system. These curing machines can be easily moved with the support of rolling wheels. Furthermore, it has an exhaust chimney for the removal of smoke and gas from the heat chamber to make it more durable. We are one of the renowned company, engaged in offering of Textile Curing Machines that are available in Model No. PH2001. Designed in compliance with international quality standards these Automatic Curing Machines are extensively used for Curing Plastisol, Pigment, Flock, Hi-density Foam, Stickers, Discharge and all types of inks. 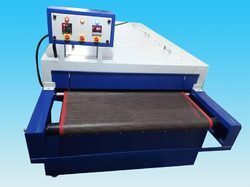 The textile curing machines are provided with Non-stick Teflon Conveyor belt and DC Motor with adjustable speed regulator for efficient performance. For easy movement of machines from one place to another it equipped with rolling wheels. With immense expertise and market knowledge in this domain, we have emerged as the leading manufacturer and supplier of a defect free range of PCB UV Curing Machine. We have a team of skilled engineers, who manufacture this machine according to its applications in industries by making use superior grade components and advanced technology. The offered machine is made available in the market at a pocket friendly price. Under the strict supervision of our experienced professionals, we are offering an innovative collection of Table Curing Machine. Our offered coating machine is developed by our professionals who utilize advance technology as per the set industry standards. Additionally, we also offer our coating machine in customized solutions as per with customer’s requirement. The offered coating machine is properly checked against every quality parameter to make certain flawlessness towards customers at reasonable rates. For the purpose of UV coating and curing on paper and PVC profiles, the offered UV Curing Machine is manufactured from quality assured materials. To ensure a defect free range, these machines undergo various quality assurance conducted by our quality controllers. 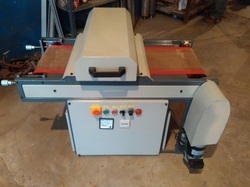 By using advanced tools, our professionals manufacture these machines as per the industry set norms. We are a reckoned name in the industry of manufacturing and supplying a superior quality range of Curing Machine that is provided with numerous specifications. 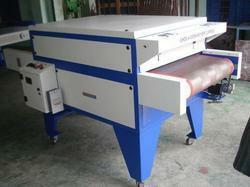 Looking for Curing Machine ?